Sorsok Háza translates literally from Hungarian to English as “House of Fates.” The word “Sorsok” is used in reference to social outcasts whose “fate” or “destiny” is on the margin of society. The homeless. Drug and alcohol addicts. Those with mental or social problems. Even the elderly who may be suffering Alzheimer’s or dementia or have no family to care for them. Sorsok Háza offers a wide variety of social and mental services. Those in need can come in to use restroom facilities, a washing machine, the Internet. They can take job training courses or get help for addiction. What they can’t find is help for their spiritual needs. Originally from Germany, Damaris Grauer and Birgit Karsch have served with BCM in Hungary since 1994. In 1999, God provided Elim Center, a two-hectare (about five acres) property outside the town of Hódmezövásárhely, where Sorsok Háza is located (see Here I Am, Send Me—to Hungary?, BCM World, Spring, 2016). 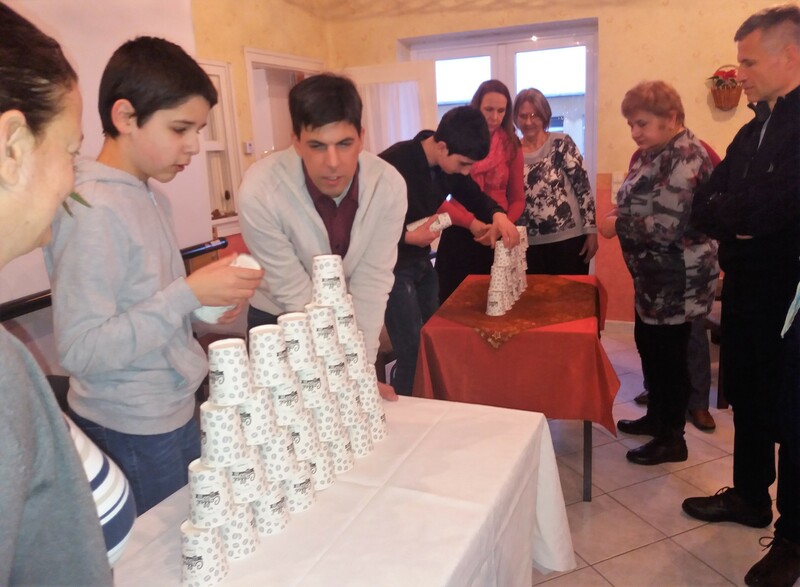 Elim serves as BCM Hungary headquarters and for special outreach events. It also hosts a small church. Two years ago, a young man who as a child had attended Elim events and the church that met there contacted Damaris and Birgit. 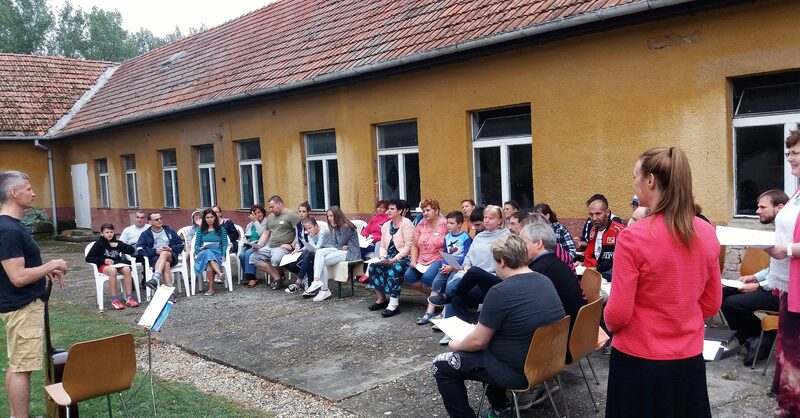 He was in training to be a social worker, and his heart was burdened that few of the needy floating in and out of Sorsok Háza had ever heard the Gospel or experienced God’s love. A nearby ministry had begun an outreach there, but the transient nature of these “sorsok” made developing any ongoing program or relationships very discouraging. Would Damaris and Birgit be willing to help? Damaris and Birgit prayed about the request, and both felt convicted that God was laying this need on their hearts. They contacted the supervisor in charge of Sorsok Háza, a committed Christian woman who is eager to see God’s love shared with her charges. In December 2016, Damaris and Birgit began spending one day every second week at Sorsok Háza. Those who come in the morning are typically the elderly while the afternoon group is largely addicts who are either recovering or trying to get help to break away from drugs or alcohol. For both groups, Damaris and Birgit begin with a simple handcraft, games, and a time of just visiting and talking. Then they introduce Christian songs and finish with a short devotional message. This allows them to minister to the house staff as well, who always come in to listen to the singing and devotional. 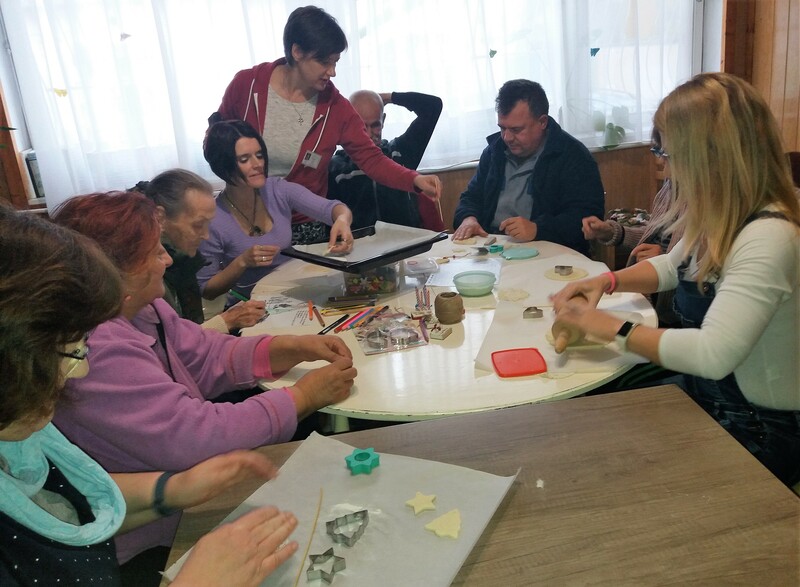 Throughout the year, Damaris and Birgit also take time to visit with the Sorsok Háza regulars individually and make arrangements for them to attend outreach events at Elim Center as well, especially at Christmas and for the summer outreach. They are also invited and very welcome in the church that meets at Elim. Since the “sorsoks” are constantly coming and going, it isn’t always easy to measure impact, Damaris and Birgit admit. But they have faith that God has called them to sow the seeds of the gospel and he will provide the fruit in his time. A divine love that can change the fate and destiny of Hungary’s marginalized “sorsoks” from social outcasts to members of God’s household.